The modern Hermetic Order of the Golden Dawn, founded in 1888, flourished during the late 19th and early 20th centuries in England and the United States. The Order was organized in the manner of an ancient mystery school similar to the Mithraic Cult of the Roman Empire during the 2nd - 4th centuries A.D. The Golden Dawn (GD) was a strict hierarchical system; certain information and knowledge was taught only to those students who had reached specific levels of achievement in their esoteric training. Members of the Order were required to commit their rudimentary knowledge of the system to memory, just as if they were students of medicine or law. In addition, training in the magical arts implies an examination of various regions and levels of the student’s own consciousness - a process which is not always easy, and sometimes, not always pleasant. Certain portions of the psyche were left alone until the student had been thoroughly grounded and balanced by the step-by-step process of magical development established by the grade system of the Golden Dawn. The "Kabbalistic Tree of Life" is an illustration from a book by the Jesuit scholar, Athanasius Kircher (1601-1680), entitled "Oedipus Ægyptiacus" (published 1652). Kircher's version of the "Tree of Life" has been popular among mystical groups in both Europe and North America. It is the version that was used by the Hermetic Order of the Golden Dawn. The layout of the paths, and the association of the letters to the paths, varies in different versions, but the Golden Dawn adopted the basic scheme utilized by Kircher with only minor adjustments. One interesting feature of Kircher’s version of the Tree of Life is the way in which the names of the planets are associated with principles of the Sephiroth. Kircher attributes the lowest Sephirah, Malkuth, to the Moon, Yesod to Mercury, Hod to Venus, Netzach to Mars, Tiphareth to the Sun, Geburah to Saturn and Chesed to Jupiter, so that the planets are not connected with the three highest Sephiroth. This scheme entails reversing the normal order of Jupiter and Saturn, placing Saturn between Jupiter and Mars, against tradition and actual orbit, and the Sun is placed between Saturn and Mars, which goes against tradition. The Golden Dawn associations are almost entirely different: Malkuth is associated with Earth and Yesod with the Moon, Mercury with Hod and Venus with Netzach; Tiphareth is still attributed to the Sun, but Mars to Geburah, Chesed is still attributed to Jupiter, but Saturn to Binah. The Golden Dawn rearrangement means that the planets follow the ‘Babylonian order’ (Moon, Mercury, Venus, Sun, Mars, Jupiter, Saturn) exactly, but one of the three highest Sephiroth is now given a planetary association. Shown at the right is a version of the Kircher Sephirot prepared with English translations of the Latin text by the 33° Mason, Manly Palmer Hall (1901-1990). 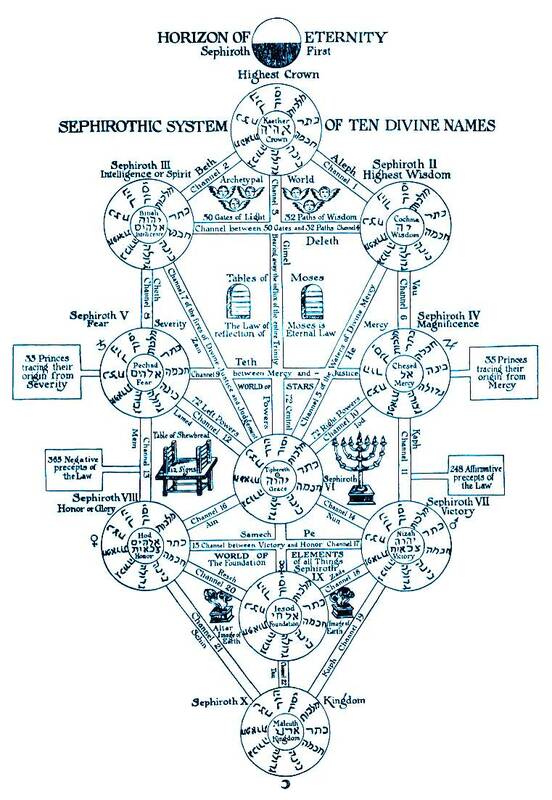 The ten grades of the Golden Dawn directly correspond to the Sephiroth, the group of ten mystical principles arranged upon the Hebrew Kabbalistic Tree of Life (see the above chart). The four lower grades were given both elemental and planetary attributions; the three middle grades were only given planetary associations. These ten grades were separated into three hierarchical groups known as: 1) the First or Outer Order; 2) the Second or Inner Order; and 3) the Third or Invisible Order. The First Order is the Hermetic Order of the Golden Dawn, which is a separate and distinct entity from that of the Second or Inner Order, known as the R.R. et A.C. or the Ordo Rosae Rubeae et Aureae Crucis. The following list of the hierarchical positions (from lowest to highest) includes the Order, Grade, Degree, Element, Planet and the corresponding Sephirah (element of the Sephioth). For the Magus and Ipsissimus grades there is no element or planet. Although ten degrees were defined, like Mithraism, only seven degrees or grades could be achieved by flesh and blood mortal beings! This hierarchy of the Golden Dawn was based upon that of the Societas Rosicruciana in Anglia (SRIA) - a Rosicrucian Society in England composed of Master Masons. Some of the leading members of the SRIA were also key founders of the Golden Dawn. The names given to the ten Golden Dawn grades are Rosicrucian in origin; however, the initiation ceremonies of the GD were basically structured according to Masonic models. The First Order (Hermetic Order of the Golden Dawn) consists of the grades from Neophyte through Philosophus. The grade of Neophyte is a probationary period that is not assigned to a Sephirah on the Tree of Life. The grades from Zelator through Philosophus are known as the elemental grades and are each attributed to one of the four elements (Fire, Water, Air, Earth). Advancement through the grades of the First or Outer Order is designed to convey to the student an understanding of the four elemental principles of nature. More importantly, the student must learn to realize and balance these four elements as indispensable ingredients of his or her own psychological and spiritual make-up. Balancing the elemental components within oneself is the primary goal of the Outer grades. The key objective of the First Order could be summed up in the phrase "learn to balance." The Portal grade is another probationary period between the First and Second Orders. During this initiation, the candidate is introduced to the fifth and final element (quintessence) of Spirit, thus completing the component parts of his or her elemental constitution. The Second Order (Ordo Rosae Rubeae et Aureae Crucis) is comprised of the Adept grades - Adeptus Minor, Adeptus Major and Adeptus Exemptus. This is the Order where the real work of ceremonial magic begins. Whereas the First Order is a school that teaches students the fundamentals of magic, the Second Order is where the student puts what he or she has learned to practical use. These higher grades were usually opened only to individuals who had passed difficult tests and were selected on other qualifying factors. In the R.R. et A.C. students perform ceremonial magic. 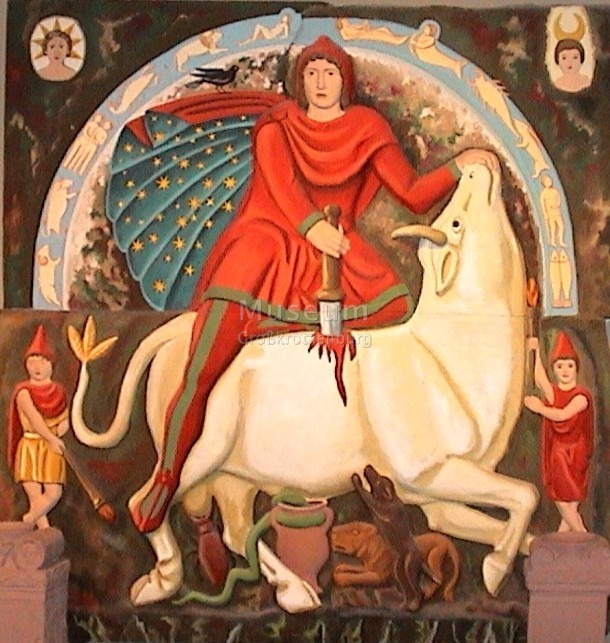 They build and consecrate their own magical tools, write and perform their own new rituals based on traditional Golden Dawn formulas and principles, practice techniques of skrying and astral traveling, create and assume the images of godforms, and perform advanced magical techniques, such as Enochian Magic. Many difficult procedures of magic have to be carefully learned. Three Chiefs of the Second Order ran the First Order and were also responsible for handing down the esoteric teachings to the Outer Order students. The titles of these three Chiefs were the Praemonstrator or teacher, the Imperator or governor, and the Cancellarius or record keeper. The Third Order belongs exclusively to the "Secret Chiefs." It consists of the grades Magister Templi, Magus and Ipsissimus. These grades were not attainable by living, flesh and blood initiates.